Innovation is something you do together but collaboration between multiple organisations is not always easy. New technologies enable new applications, new business models and new markets. Designing and testing these value propositions and business models and creating a shared business case which does justice to all project partners requires specific skills and knowledge. BM-Change has the skills and tools to increase the business impact of your collaborative innovation project. Collaborative research starts with the exchange of ideas between people from different organisations. From there, an often lengthy process starts that includes further detialing of the inital idea, finding partners with complementary skills, knowledge or resources, finding funding opportunities and preparing project proposals. When funding is granted, the collaborative project can start. When the project is concluded succesfully, the project results form the basis for new commercial products and services or for follow-up research. 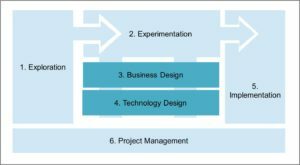 BM-Change makes use of the model below to ensure proper and efficient execution of project activities in each phase of the project lifecycle and to ensure maximum economic impact of collaborative research projects. 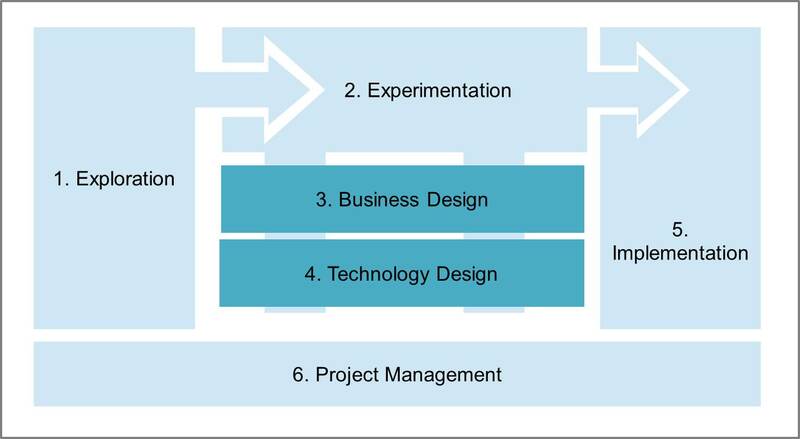 In order to maximise the economic impact of collaborative research, in each phase of the project lifecycle attention should be paid to post-project exploitation plans and business cases. Agreements should be made about joint exploitation, IP-ownership and future business models. During the project, such agreements should be managed and monitored and business models should be validated to ensure a smooth execution of post-project exploitation plans. The starting point for collaboration is a shared vision between partners. This vision tells you how you expect tomorrow’s world to look like and the role of your organisation in this world. It is important to make this shared vision explicit and to ensure that all partners have a common view of this vision. During one or more Shared Vision Sessions, project partners go on a search for a common vision and the underlying assumptions and drivers. By visualising the vision, new project partners can more easiliy identify with the project envisioned future. To maximise the business impact of your project, the design of the business elements should be integrated in the project approach. BM-Change can help with the definition of the business model design and exploitation activities in the project proposal. Business model design and exploitation activities are strongly related to pilot- and dissemination activities which will be reflected in the project structure. In order to create sustainable project results, business design activities have to be conducted from the beginning of the project. Idea generation, the design and validation of value propositions and the design and validation of new innovative business models have to start together and aligned with the research activities. BM-Change manages the business design process and helps with the design and validation of new value propositions, business models, value networks, exploitation scenarios, market engagement strategies and business ecosystems. Though the use of workshops, market research and experimentation techniques, project partners will be involved by the desing of new business models and exploitation scenarios from the start of the project. Propositions and business models will be designed and validated in close collaboration with external stakeholders and relevant market parties and institutions where possible and applicable. Our design principles are based on customer centricity, rapid market validation and sustainable business scenarios. When the project is finished the project organisation is dismantled and project partners separate again. The biggest risk is the so-called Valley of Death where project results are not mature enough for commercialisation and lack of funding and other resources form a barrier for further development of the project’s foreground. This is where the business model validation and exploitation activities pay off. Having agreed and exploitation plans enables a smooth transition from project results to follow-up research projects, joined partner organisations or new spin-offs or start-ups. BM-Change guides the execution of the post-project exploitation plans where needed. 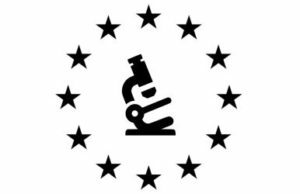 BM-Change is actively involved in European research in the areas of business model innovation, business ecosystems and business transformations. This research is mainly executed in domains impacted by new ICT technology like Energy & Water, Telecom & Media, Open Data and Big Data. Currently BM-Change is partner in the FP7 project “Waternomics” and working together with various European companies and institutions on new project proposals for the European Horizon2020 program. Do you want to discuss your project idea or are you lokking for a partner that can help with the business model design and exploitation activities, please contact us today. Related projects: Waternomics and ICT4Water.